This post was inspired by a spontaneous road trip to La Jolla! 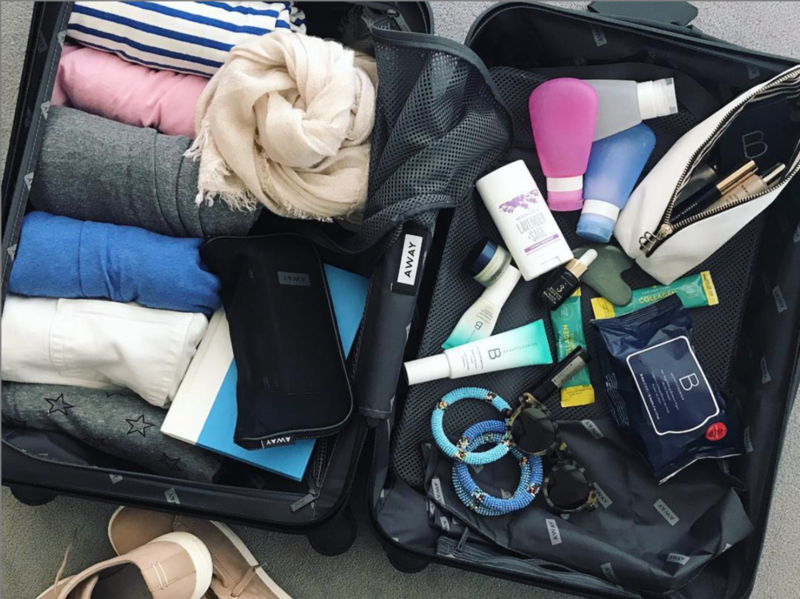 It truly was spontaneous, so I quickly packed a bag and made sure not to leave behind any of my beloved clean beauty products. My cosmetic bag was not jam-packed (I try to travel lightly… keyword: try), but it was filled with my bottles, jars, and tools that are hard to part with. 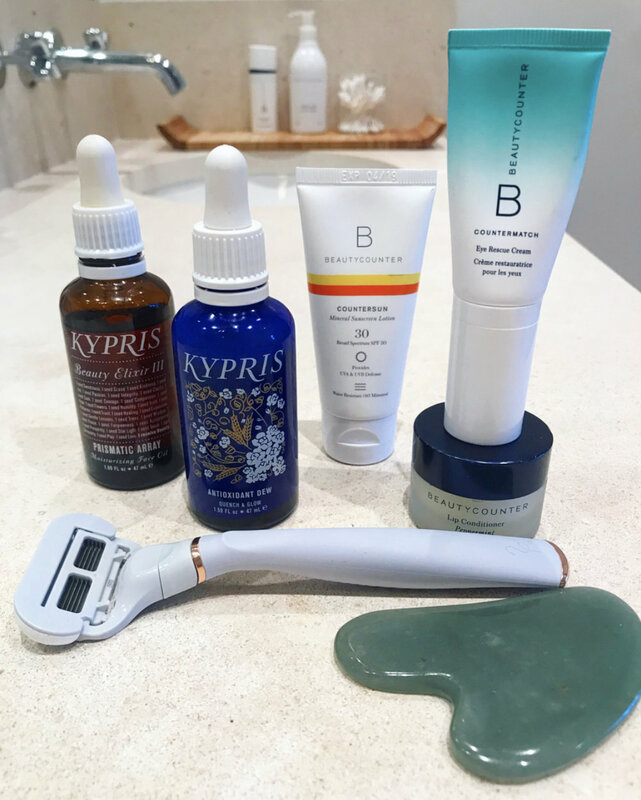 You'll find a few my of Beautycounter favorites along with some new brands and products that I am LOVING. Having traveled over the past couple months for long weekend getaways to celebrate loved one's weddings + birthdays, I think I've finally perfected how to pack like a pro! I've had a couple people ask me how I travel with my skin care essentials so that I don't abandon my normal at-home routine, how to fit everything in my bag, and still follow TSA regulations... because we all know, carry-on is the way to go! Happy travels! I've touched on safer beauty/skin care products on my Instagram posts and stories, but I haven't yet shared them on my blog like I have my recipes, aka "The Yums." That is, until now! Filed under "The Skin," I will share my beauty and self-care routines, my longtime favorite products, as well as new skin care finds within the safer and non-toxic space. 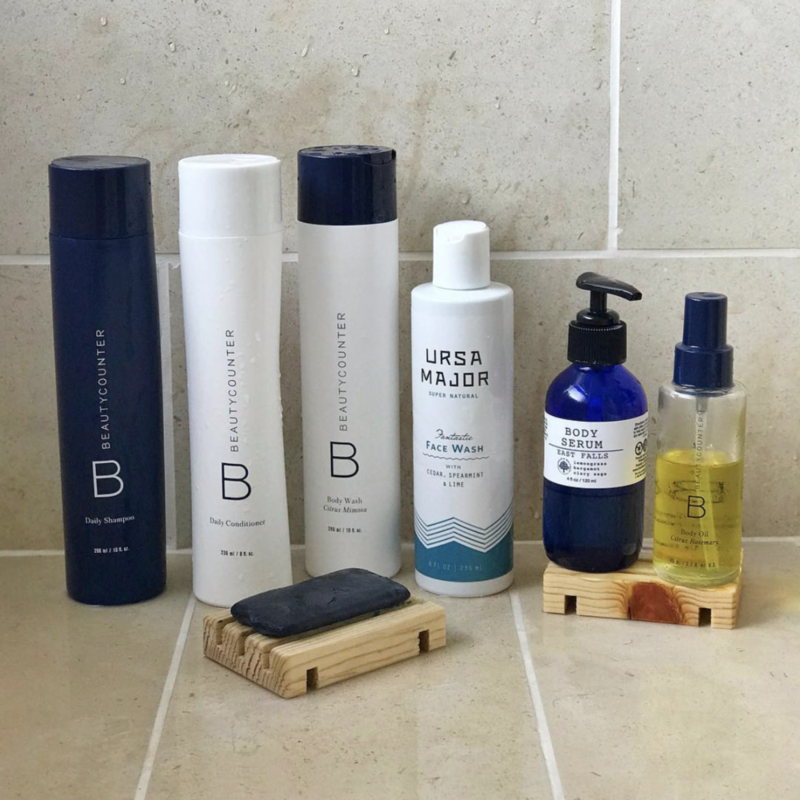 Today, I'm talking about my current shower product faves, starting from head to toe.